Please review the important information items below to better prepare your family for your exciting week at Gwillim camp. 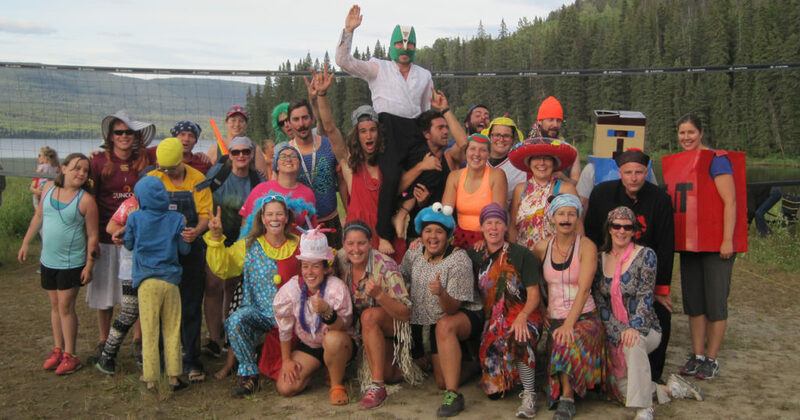 Life is pretty busy once you arrive at camp so if this will be your first year with us, we’re sure you’ll appreciate this opportunity to learn at your leisure. Each child that is registered in a program will receive a free camp t-shirt. If your family would like to order extra shirts for parents or other family members, you can do so when you complete your online registration application. 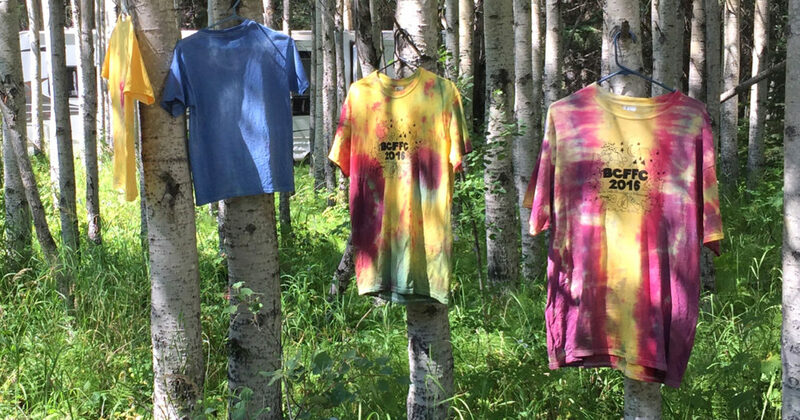 Campers tie-dye their shirts during the week and have them signed by the Moniteurs on the last evening of camp. 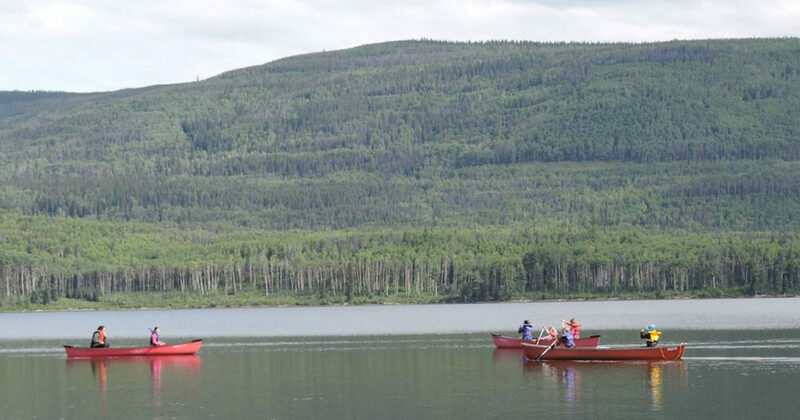 We will be providing a workshop for adults on the proper use and care of the canoes. 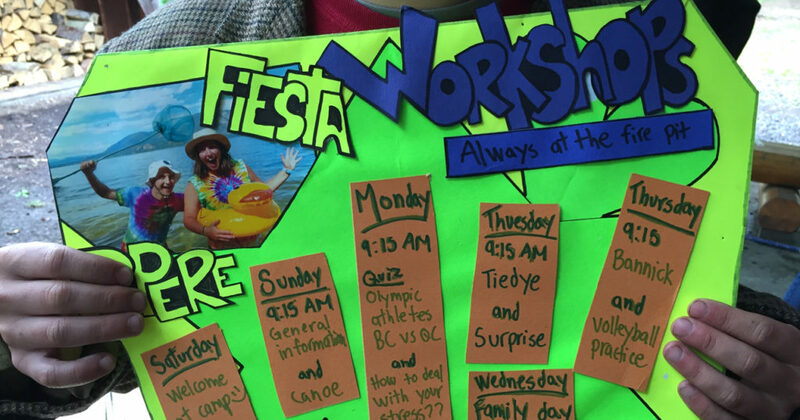 You must attend this workshop if you want to volunteer to canoe with the children during Program hours, or if you want to use the canoes during Out of Program time. 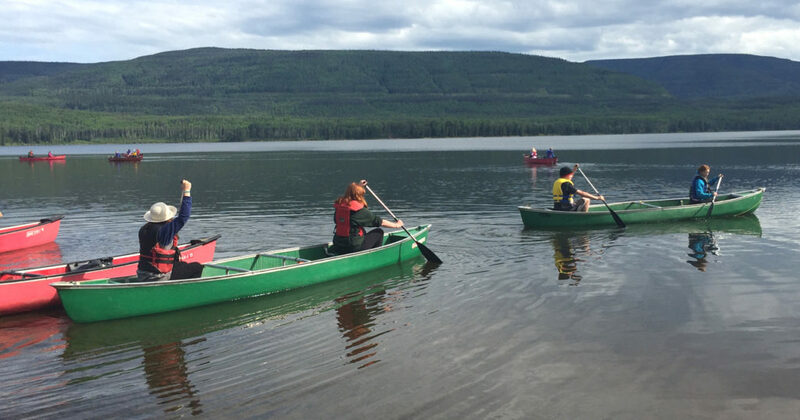 Children 12 and under using the canoes during non-program hours, must be accompanied by an adult who has taken the training. 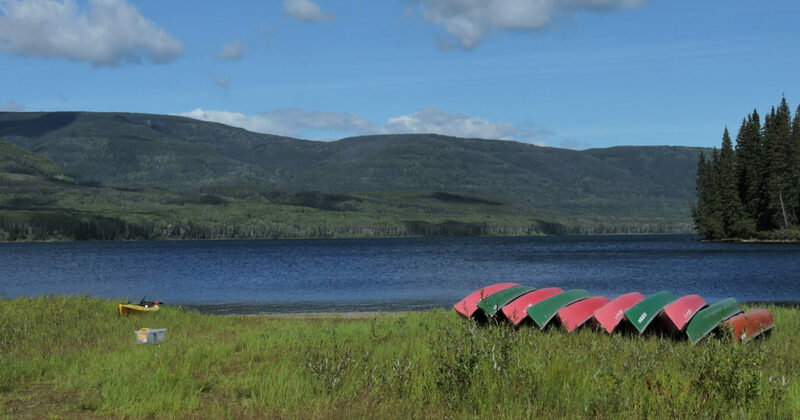 Canoes must be returned by 9:00 p.m. ALL PERSONS MUST WEAR LIFEJACKETS WHILE USING CANOES. The dessert night on Sunday evening is probably the most popular event. 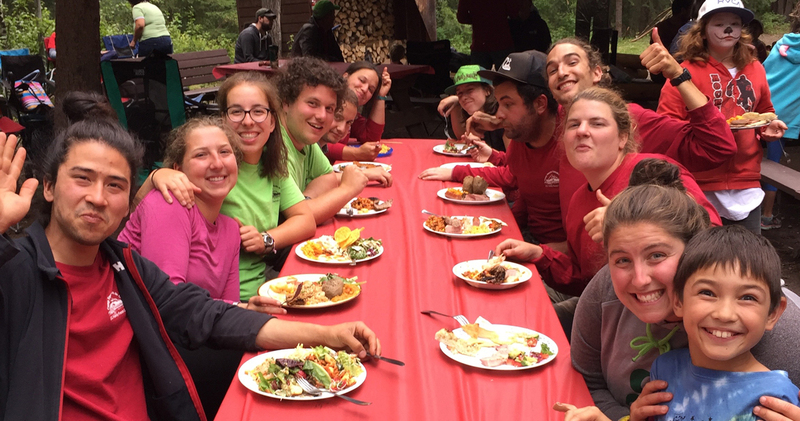 Each family brings a delicious dessert to share with fellow campers. If you wish to take part in any of these, the money will be collected on Saturday when you check in with the registrar. 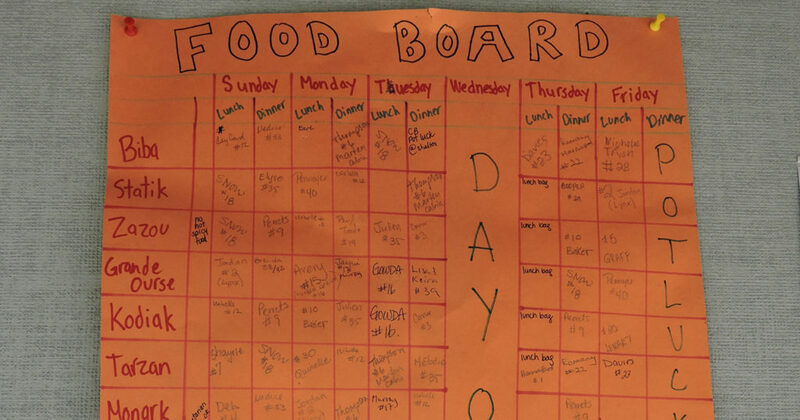 Extra monies collected after expenses paid go into a discretionary fund to purchase additional supplies for this camp. As this is how the Moniteurs get fed, we encourage you to bring along some extra food and invite your child’s Moniteur to share lunch or dinner with you. The sign-up sheet will be posted under the Log Shelter Sunday morning. Sign up early so you don’t miss out and please remember to share the Moniteur with the other families. 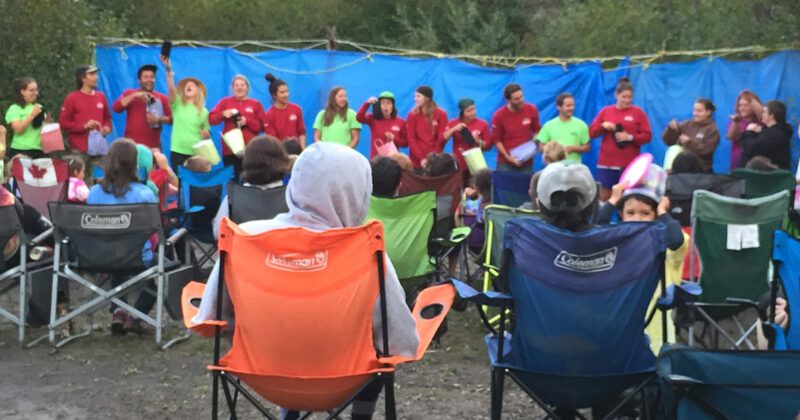 At 9:15 each morning, with the exception of Wednesday, parents meet at the main firepit for a brief info session. The Program Director (aka Parents’ Moniteur), along with the Camp Manager, will fill the adults in on everything they need to know for the day. Coffee will be available so bring your cup! As volunteers operate our camp, all parents must give a few hours of their time to spread the workload and to ensure that everyone can enjoy their holiday. 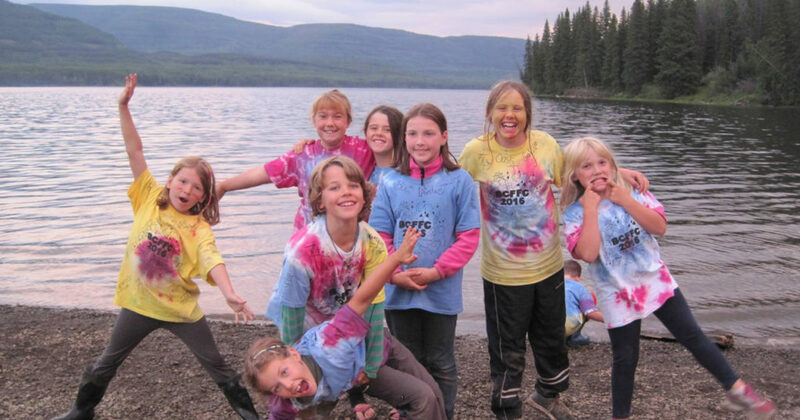 A big thank you in advance to all our parents who give up part of a day to help out their children by driving for hikes, supervising water activities, helping with program activities, and especially supervising the late night sleep-out. Please sign up at the Log Shelter! If anyone is interested in leading fitness sessions or French conversation sessions, see the Camp Managers. Invite a Moniteur to eat! 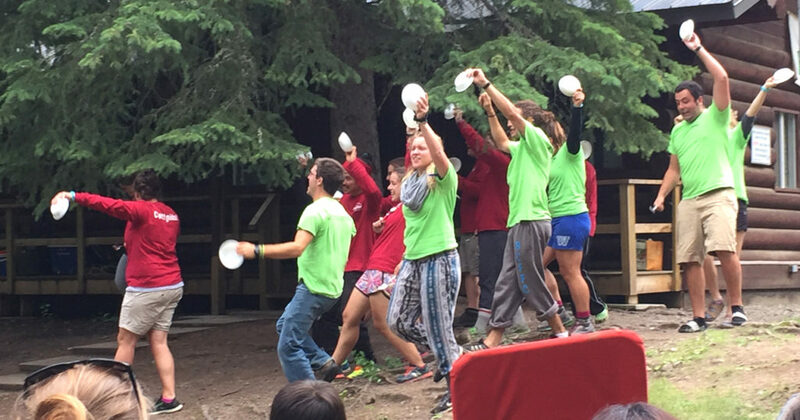 This is another highlight of French Camp. Sign up early (at the Log Shelter) so you don’t miss out!